For Later focuses on bookmarking content you find on the web for later reference. The content includes regular bookmarks and video bookmarks. Unlike the Work Project starter notebook, Tasks focus on punch lists. If you have an activity you're preparing for such as planning for a trip, the Tasks starter notebook helps you capture the to do items and track them to completion. What's different in this notebook is rather than using a drop down to select the type of spring you're creating, you enter the task right on the Add a Task line to capture it in the notebook. This makes the entire notebook focused solely on tasks rather than other distracting things. The Work Project starter notebook focuses on capturing the information you need for most types of work focused projects. 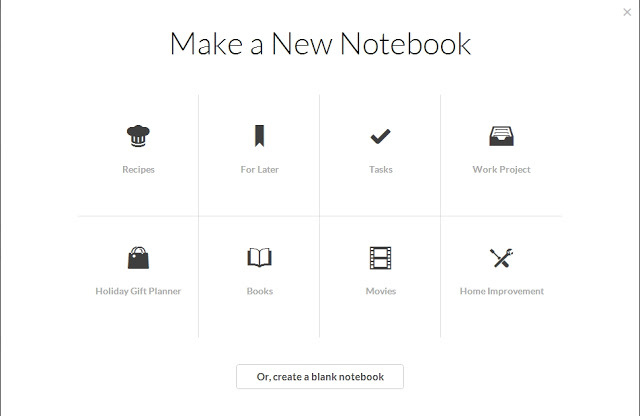 In a Work Project notebook you can capture and track notes, bookmarks, tasks, and files. These all use the standard Springs but are grouped together in to maintain the information for this particular project. The Holiday Gift Planner is a starter notebook that not only organizes your information for gifts, it helps you find gifts as well. These gift ideas are searchable and include links back to Amazon for product information and even purchasing if you want. 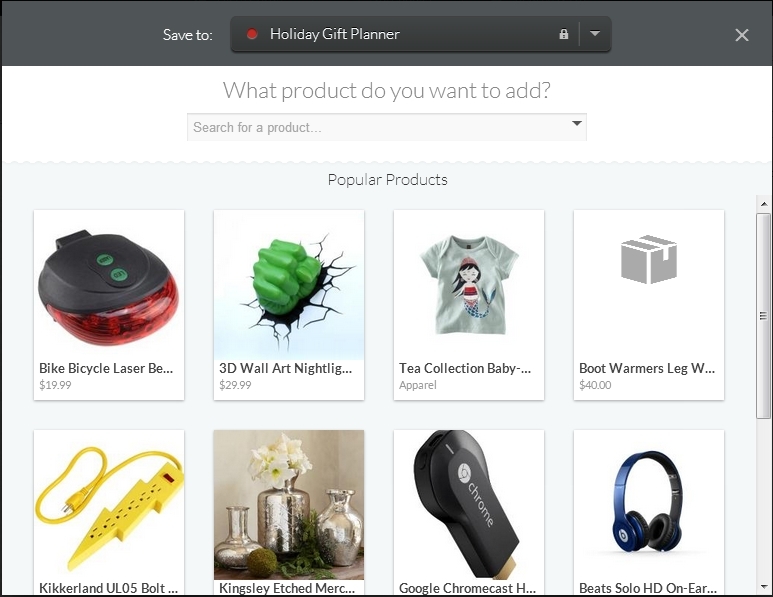 Each created gift idea spring can indicate if you have purchased the item yet or not and tag items for specific receivers and holidays. The Books starter notebook works very similar to the Holiday Gift Planner from the perspective of not only organizing your books but helping you find them and even purchase them. You can track books read, books you want, and your favorites. 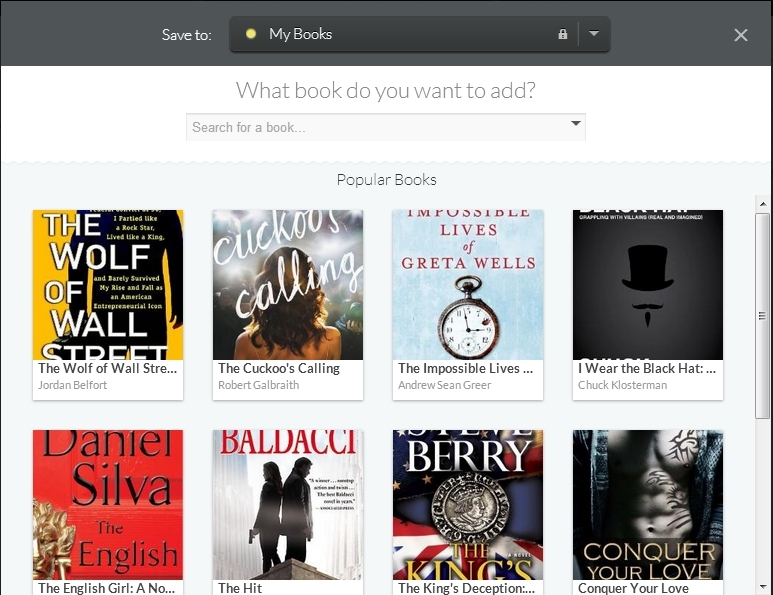 Adding a new book gives you a smart pop-up helping you locate the specific book you want. 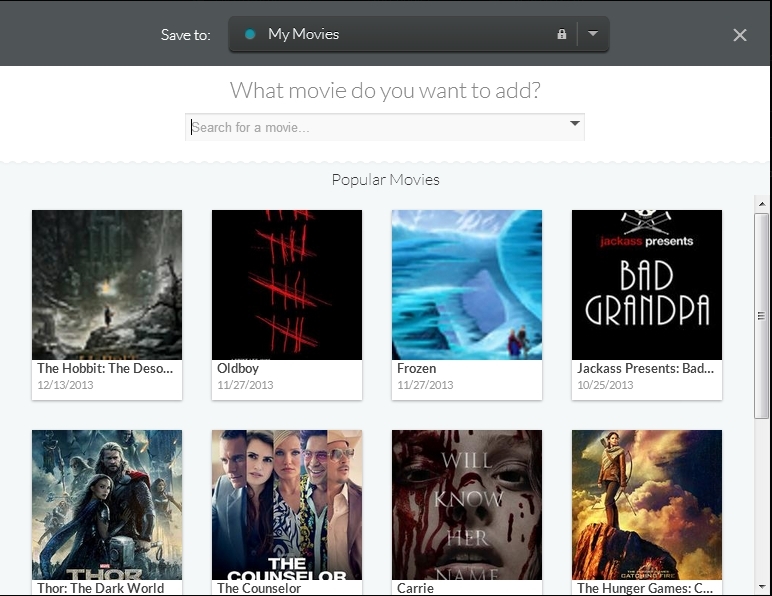 Just like Books, Movies can organize your movies, show your favorites, and even keep track of films in theaters or out on Netflix. Finally we have the Home Improvement starter notebook which looks a lot like the Work Project starter notebook but with a focus on the home and home ideas. More than just tasks, it can gather inspiration for projects and help you plan them out. The new Starter Notebooks are a great way to get into the world of using Springpad notebooks for a variety of uses. Once you get comfortable using these, the next step is to click on that Custom notebook button and take off running! If you're trying the Starter Notebooks, or if you have other comments and questions, please let me know in the comments. Happy Springing!